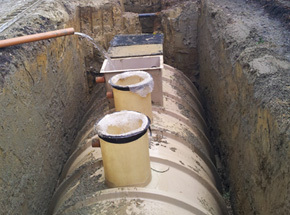 We are Flowrite Drainage Services, a dedicated team of drainage consultants in Brighton that provide professional services to domestic, commercial, small industry and local authority clients. The quality and the reliability of our services ensure we receive high volumes of new and repeat business every single year. Our consultants use their seventeen years of industry experience to deliver the most cost-effective and environmentally friendly services throughout Surrey, Sussex, Hampshire and Kent. 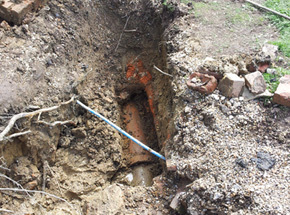 We specialise in the supply, installation and repair of underground drainage. 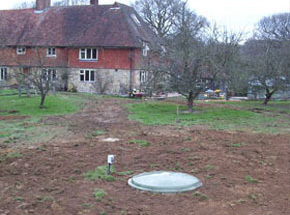 Our services include the provision of septic tanks in East Grinstead using a combination of conventional and non-digging systems. Flowrite Drainage Services, the leading drainage consultants in Horley, are accredited members of UK STT, the UK Society of Trenchless Technology. We hold a full and current waste carrier’s license and we undertake all work to the latest compliancy standards. Our team insists on using safe working practices at all times. We’ve earned a fantastic reputation for our after-sales service. 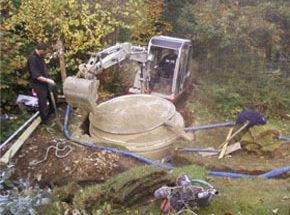 Whenever you use us for the installation of new septic tanks in Guildford, we provide yearly maintenance contracts and full telephone support. Our drainage inspection services use CCTV technology and we include a full written report and DVD camera footage on all projects.